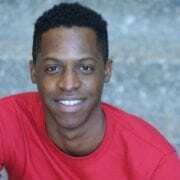 CGTV Graduate books national commercial! One of the things we tell our graduates is that this business requires you to be able to process rejection like a pro, be persistent and keep going. The truth is, 99% of actors are rejected way more than they win roles. So the most crucial part is persistence. 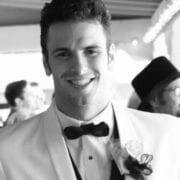 Levi Daniels has become an expert on persistence and handling rejection. And now, he is an expert on how to land a national television commercial spot, the bread and butter of almost every actor’s life. Don’t take our word. 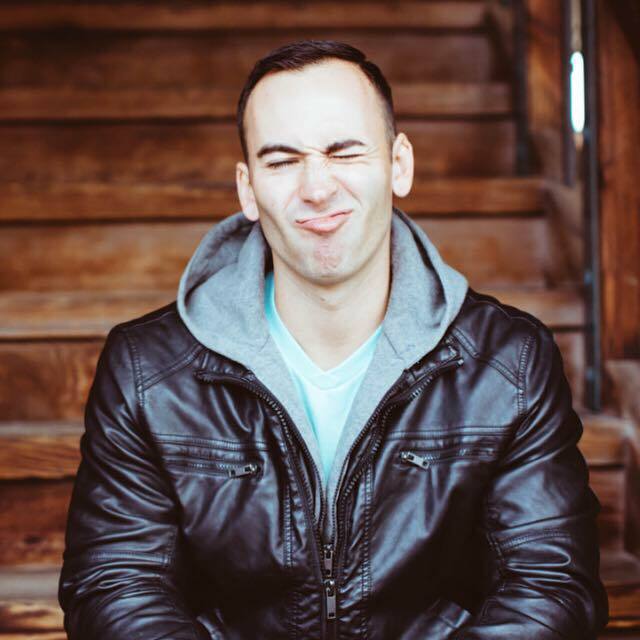 Listen to Levi’s success story here. Levi had heard about CGTV while submitting to acting classes online in attempts to find a good school to get his name, face and talent into the arena. He received an email from CGTV asking him to join an audition in his city. He was nervous and excited at the prospect of auditioning for a major Disney star. He prepared and he practiced his sample commercial to the point that he could let it roll off his tongue like second nature. The day of the audition I felt I was more than prepared. He was told that I would be auditioning with someone that was on a Disney show, but he did not recognize the man in the room that he auditioned for. (Probably the beard!). That was great, because it helped calm his nerves. Later, he found out it was Jonathan Goldstein, the dad from Josh and Drake and let out a “whooooooa”. That didn’t last long. He decided to give up his six figure career and pursue his dream and put all of his chips on the table. He received world class acting training at CGTV with Adrian R’Mante and his star studded cast. The final night at ACME theatre would prove to be a bit nerve wracking. Having just put his entire career on the line for his dream, what if he did NOT receive a call back from a Hollywood Agent at this live performance? Levi received a call back from a well reputed Hollywood Talent agency. While he did not wind up signing with them, he continued to pursue his talents and has just recently scored a nationally televised commercial, the meat and potatoes of the acting industry. He credits his wins to working with Adrian, even after hours. Levi says that Adrian has always made time for him, always been there for him and continues to be his mentor outside of the program. We will keep you updated on Levi’s impending successes! 1. I heard about CGTV because I was submitting online for acting classes trying to find a good school to get my name and face out there. CGTV emailed me. 2. I was a little nervous, more excited than anything. I prepared for my CGTV audition by practicing my commercial to the point I could say it like it was second nature. 3. I performed in front of Jonathan Goldstein. I wasn’t nervous in front of him because I didn’t recognize him haha. After the fact when I realized who it was I literally went “woooooooh”. 4. I didn’t want to get my hopes up so I just said to myself “keep on keeping on” and if the call you go for it. 5. I was stoked! I was also trying to figure out how I was going to balance this week intensive and keep my job as an investment banker. 6. I’ve always wanted to pursue acting and realized life is to short to not chase your dreams. I ended up quitting my job that was making close to six figures and put all of my chips on the table for my dream. 7. The hands-on training from celebs in the game already. Who better to learn from than the people who are successful in the industry. 9. I received a callback from Maverick Artists Group. They didn’t end up signing me but it was good in the long run to get those at bats in! 10. Adrian until this day will respond to any questions I have or if I’m just nervous for a big audition will give me advice to calm me down. Great mentor and friend. 11. Life is to short and nobody is promised tomorrow. Go chase your dream no matter what that dream may be!!! 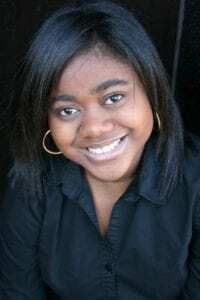 CGTV Graduate books national commercial! https://cgtv.la/wp-content/uploads/2016/11/600104_477268739006115_412624919_n.jpg 712 712 R'Mante https://cgtv.la/wp-content/uploads/2018/10/CGTV-Logo-300x106.png R'Mante2016-11-30 09:00:522017-04-21 16:18:19Levi Daniels books national commercial! Earlier in the year we wrote about an amazing talent we scouted in Arizona last October, Bailey Axen. You can read his initial article by Clicking Here. Bailey scored a multitude of offers from Hollywood Agents and Managers at his CGTV Live Performance showcase at the end of the training program. After doing our homework, we decided on an agent and a manager from the CGTV Showcase evening. Since then, Bailey has been on numerous auditions for feature films with A list Hollywood actors attached to them and for many commercials. Bailey has auditioned for Nickelodeon and the Disney Channel. 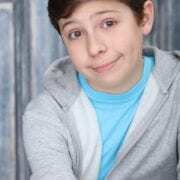 Recently Bailey has been put on hold by a producer for a national television commercial and Lisa London, one of the most influential casting agents in Hollywood brought Bailey in to audition to play a young Adam Sandler in his new Netflix Movie. Lisa London was an additional resource that Bailey picked up at CGTV. Her book from Start to Stardom is a great tool and resource for anyone pursuing acting seriously. Bailey has quickly discovered that this profession is tough and requires patience, persistence and passion. Acting is hard work and to be really great, you have to continue to improve by taking workshops, classes and hiring coaches that can help you grow and be competitive in the market place. Just like an athlete or entrepreneur, an actor must put in the work to receive the rewards. Even through rejection, Bailey keeps a smile is grateful for the opportunity and moves on to the next shot. CGTV and Adrian R’Mante prepared him for this road, so it was not unfamiliar when he had to walk it alone. Stardom is rarely an overnight success! Getting a reputable Hollywood Agent and Manager alone can take years and years of rejections. CGTV took years of pursuit out of our equation and put Bailey directly in front of the talent agents and managers that could launch his career. Now, it’s up to Bailey. One thing that has been crucial is celebrating the wins. Getting an audition is a win. Getting a call back is another. Being put on hold is a win. Booking the job is the prize and it’s not easy. But when you love acting as much as Bailey does, you pursue your dream relentlessly with all of your heart. Bailey is extremely grateful and feels very fortunate to have been given the opportunity to work with Adrian R’Mante and CGTV and feels he received the tools he needed to start him down his true career path. Bailey has booked his first TV role, 6 months after graduating from CGTV. 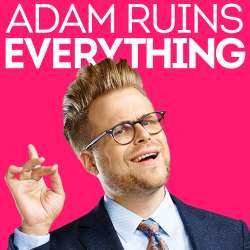 He is guest starring on an episode of Adam Ruins Everything called Adam Ruins the Wild West! Pilot season is just around the corner and Bailey is super excited for the calls he expects to receive from his agent and manager. https://cgtv.la/wp-content/uploads/2016/12/774252_1676707199284651_4009299147339220018_o.jpg 2048 1365 R'Mante https://cgtv.la/wp-content/uploads/2018/10/CGTV-Logo-300x106.png R'Mante2016-11-30 09:00:042017-04-21 16:18:46CGTV Grad Making Waves In Hollywood! Memorizing lines can be the most difficult part of acting. It is probably the most daunting tasks asked of an actor or actress. What if I told you there is way to make the memorization process just a little bit easier? Here at Children in Film we thought of a few tips and tricks to help commit those lines to memory. FOUR ways to help you memorize line. Be sure to practice your acting skills every day. 15 minutes of cold reading practice will REALLY keep you sharp if you do it EVERY DAY. If you aren’t super sharp at cold reading, then practice for AN HOUR PER DAY until it becomes as effortless as breathing. When practicing your lines sitting idle is not always the best thing. The brain acts like a muscle and gets stronger the more you use it. Getting up, moving, using hand motions, pacing, and walking can help make your brain associate the movements that your body is making and the words you are speaking into a clearer path. This ultimately leads to committing your lines to memory faster. This gives a whole new meaning to ‘muscle memory’! You will be surprised that the more you move the connection between your brain and body will get stronger. Find a blank piece of paper. Cut it into 20 pieces. Write down: 5 different situations, 5 different places, 5 different jobs and, 5 different emotions, one on each piece of paper. Then create a scene. Example: Eating candy, in a jungle, as a photographer, while being sad. This creates flexibility and dynamisms in scenes. If you do these ad-lib routines it makes it easier for you to be more comfortable with others abstract writing and scenarios. Try it: It is a fun exercise and relieves the anxiety of scene stress. This can be the hardest but most beneficial memorization tip. What we mean by ‘Using Good Sense’ is to use the entire experience: sight, sound, smell, taste, or touch to evoke an emotional reaction appropriate to a moment in the scene. Let’s just say you are auditioning for a chocolate bar commercial. You need to be excited about this product, so what do you do? Go get a chocolate bar and let is take over your SENSES! Then later on at the audition you will be able to recall that chocolate bar like it was right there in your hand and make everyone watching you believe it really is! These are just suggestions. Ultimately, it always comes down to what works best for you. No one has the same approach to memorizing lines. We all have different backgrounds and learning styles. Give these a shot and see what they do for you! If you still need help, just reach out to some top rated acting coaches in our member directory above. Memorize lines is preparing well. https://cgtv.la/wp-content/uploads/2016/11/Memorizing-Lines-graph-by-lv.png 324 857 R'Mante https://cgtv.la/wp-content/uploads/2018/10/CGTV-Logo-300x106.png R'Mante2016-11-29 09:00:172016-11-29 03:23:52Do you know how to memorize lines? In show business, there’s good reason to be wary of people who claim they can help you achieve your Hollywood dreams. There are a lot of scam artists and opportunists out there. Although it is wise to be wary and guarded, if you or your child have real talent and think you can make it in Hollywood, you can trust CGTV. There are talent programs out there that aren’t scams, and CGTV is one of them. CGTV is a high-level entertainment program with a multitude of success stories to prove that it is designed to help talent successfully navigate the show business industry. 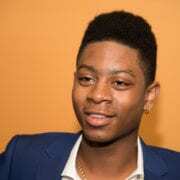 A graduate of CGTV and a wonderful success story, RJ Cyler’s acting career is currently blowing up. He starred in the 2015 film (and Sundance darling) “Me, Earl, and the Dying Girl” as Earl, and was also cast as the Blue Ranger in the upcoming Power Rangers film. We at CGTV could not be prouder of RJ Cyler! One of CGTV’s very own is a very successful television star. Bex is best known for her roles as Bullet on The Killing, Sin on Arrow, Lex on House of Lies, and is currently starring as Audrey Jensen on MTV’s Scream series, based off the popular horror films. MacKenzie was just 6 years old when she attended CGTV’s talent program in the summer of 2015. 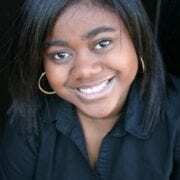 Now, she has a recurring role as young Shelby in the Disney Channel original series Best Friends Whenever. We can’t wait to see what else the future holds for MacKenzie! These are just some of the CGTV graduates who have gone on to achieve their dreams. There are many more success stories, and we know there will continue to be more to come! If you know your dream is to make it as an actor or actress in Hollywood, and you think you’ve got the talent to take you there, attend one of our auditions to get the ball rolling (register here to stay in the loop). If you receive a call back, that means we see raw talent in you and would like to help hone your skills at our acting camp program and workshops. Still think CGTV isn’t “legit”? We asked our past graduates and parents of children who attended CGTV to give us their honest, unfiltered opinions about their experience with us. You can read for yourself here. You’ll soon discover that we’re the real deal, and we’re looking to make you or your child into a big deal in Hollywood! Stepfather Proclaims CGTV is not a scam! Every now and then someone that has never experienced our program will say some silly things on the internet about our company. The other day on our Facebook page, some teen was calling CGTV a scam. One stepdad whom attended the January VIP program with his wife and daughter was very offended and this is what he had to say about CGTV being a scam. CGTV is not a scam. 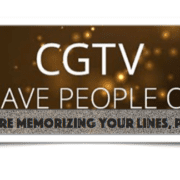 “CGTV is the furthest thing away from a scam you can find. Many complain about the price, but the way it was explained to me at the tryout, it is a small price to pay for an amazing program and opportunity. Both my wife and daughter attended CGTV and had an absolute blast in the process and got put in front of real, Hollywood agents and were given a real opportunity to get an agent. The largest portion of the program is the week of preparation the participants receive before they get their shot in front of the scouts. They work with Disney stars and well-trained actors that teach them exactly what these talent seekers are looking for. You get a distinct advantage over the competition by learning from those that have already succeeded at where you want to go. After scenes have been practiced, edited, and finalized, My wife Gia and daughter Jenna were ready for the biggest auditions of their lives. On the big night, all of the coaches showed up, rooting the kids and other participants on and going over last minute tips to keep their nerves calm. The level of professionalism was great to see, but what really confirmed that my money was well spent was when I walked into the stands of the venue to find around 50 agents seated and ready to take notes. We had gotten far more than what we had paid for and my girls were going to get their biggest opportunity of their lives. After it was all said and done, neither my wife nor my daughter received an agent call back. This of course was disappointing to us, but what shocked me most was that Adrian R’Mante, the owner and director of the program, seemed the most upset! He said that we most certainly had to come back to the next audition, and that they could try out as many times as they like, it won’t cost them a dime. Plus, rockstar casting director Lisa London whom cast stars like Miley Cyrus, Jennifer Aniston and more in roles long before they were famous put my wife on the short list of actors she believes is ready for big screen casting! CGTV is not a scam! Do you still think CGTV is a scam? We have some of the greatest showcases in Hollywood! Try the CGTV process learn from the best on TV, Film and Commercial book your audition by clicking here! https://cgtv.la/wp-content/uploads/2016/11/Michael-Howard-1-e1479932117328.jpg 546 1092 R'Mante https://cgtv.la/wp-content/uploads/2018/10/CGTV-Logo-300x106.png R'Mante2016-11-13 09:00:392017-04-21 16:19:30Stepfather Proclaims CGTV is not a scam! Adrian R’Mante with CGTV Helped Me, For Free. 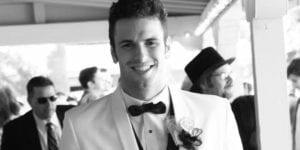 Usually we publish stories from graduates of our Celebrity Experience at CGTV. This was a story from a young, working actress that was unable to afford CGTV but raves about the help Adrian R’Mante personally provided to her anyway. Read below and learn who we are and what we are made of. 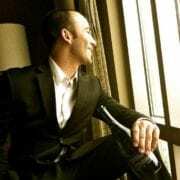 If you are scouring the internet on CGTV Reviews or reviews about Adrian R’Mante, you have come to the right spot. Listen to what this young lady has to say about our CEO and founder. “I never got to go to CGTV, I got a call back after auditioning with them but sadly I couldn’t afford it at the time. Adrian saw something in me and even though I couldn’t go to the showcase he helped me by messaging me on Facebook and texting about working in the industry. 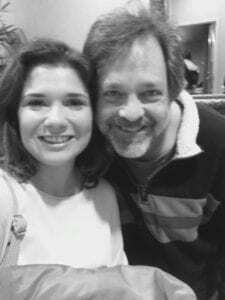 He helped me in how I presented myself in the auditioning room and helped me make important in the moment decisions on how to make sure I always look my best and act professional. Whenever I had a question for him he would take time out of his day to reply. I haven’t even met him physically. 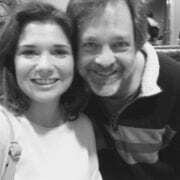 I met Tanya when I auditioned in Philadelphia. But once I face-booked him about the program he was very easy to listen to in terms of how he explained what the industry was really like. I recently got a role in the hit TV series The Blind Spot. I got the audition through my manager and when I got there I was discouraged because the role called for a mixed Caucasian and Hispanic girl or “mixed” girl and I’m only African American. When I got there I was surrounded by girls who actually were what they asked for but I remembered the videos that I watched for CGTV and how to command the casting director’s attention by speaking first. Adrian even let me use him as an industry referral to get representation. In the beginning I would submit Adrian on everything I sent out. I emailed submissions all over and finally got a hit from Brilliant Talent Management which is bi coastal. Adrian & CGTV audition free around the world. Please Click Here to register for your chance to audition for CGTV & The Celebrity Experience. This is the story of one of our graduate’s of last January’s VIP program. Lance Freeman had an energy that we could see from a mile away. He wasn’t sure if he had what it took for Hollywood, but he saw this as a chance to chance his dream. With hard work and an open mind, Lance amazed himself by securing a Hollywood Agent call back after our live showcase at ACME Theatre. The following is his story. For anyone scouring the internet for CGTV Reviews and wanting to know if CGTV is a scam or not, take the time to read the story of people that have actually been through our program. That is the truth in advertising. The Celebrity Experience. Why I Decided to Train with CGTV and The Celebrity Experience? “I really wasn’t nervous about auditioning for CGTV, I saw this as my chance to chase a dream. I prepared mainly by watching movies. I wanted to see how they performed with cameras and each other. When I arrived at the event I learned that Geno Segers was my celebrity host, I wasn’t nervous, I saw this all as a potential possibility. I knew I would be okay whether I made it into the program or not. Finally my turn to audition came around. I felt relaxed in the room with Geno and he gave amazing advice once I was finished. I followed it and repeated the monologue, I thought I did pretty good afterwards honestly. After hours of waiting I was thankful that I was selected, and proud of myself for taking advantage of the unique learning experience that was to come. My family felt the same. I knew from past experience that there were a lot of talent agencies that scam you for money, but the program seemed legit and I took a leap of faith. I was scheduled to go for the showcase that would perform in January, and decided to go with the V.I.P package. I am now definitely thankful that I did. One of my favorite parts of the training was all the information we got from the celebrity hosts that were attending. They gave us advice on our performances, told us the in’s and outs of the industry, and revealed what they had to personally go through to get where they are today. It was really awesome to see from their point of view and to get to hear about what it is really like for them past the lights and cameras. Do you want to be trained by the best? Click here for your chance at show business with CGTV & The Celebrity Experience. You can read about some of our reviews and success stories here! CGTV is not a scam, I know firsthand! CGTV is not a scam, I know firsthand! The following is a personal letter written to us from one of our Graduates from last January’s VIP Program at CGTV – The Celebrity Experience. It’s easy for us to tell you how great our program is, but we prefer if you hear it from our graduates/students instead. If you are looking for CGTV Reviews and/or whether or not CGTV is a scam, keep reading. “Ever since I can remember I have had dreams of being an actress. Growing up with a thespian as a mother probably had a little something to do with that. Throughout the years I have auditioned and performed in many shows/venues, including the Utah Shakespeare competition. However I always wanted more. I knew my dream was to make it to the Oscars some day. Luckily I was gifted with a mother who believed in my dreams and wanted to help make them a reality. She was always looking out for auditions that either me or her could do, and one day a local talent agent sent her an email with the information for CGTV auditions happening that following week in Phoenix, Arizona. CGTV is not a scam. Neither me or my mother had ever heard of CGTV and immediately thought it was going to be a scam or trap. We decided to look further into it. After hopping on google and typing them in we came across a negative review on the first page. We decided to click on it thinking yep, just another waste of time. Words cannot express how shocked we were, and moved, over the 8 paragraph response Adrian R’Mante had personally written himself in the comment section of the review. Seeing a star, someone I watched throughout my childhood and loved, defending and putting effort into helping his own cause and not sending someone else or just ignoring them was amazing. In addition there were PAGES of other parents that had actually been through the program defending the program and Adrian. We immediately secured our audition. CGTV is not a scam. PS… I almost forgot to tell you how AMAZING it is when all your OTHER child hood stars from Disney arrive at CGTV to train you as well. The dad from Josh and Drake, Jonathan Goldstein, Geno Segers from Pair of Kings, RJ Cyler from Me, Earl and The Dying Girl and Power Rangers 2017! And more…. it was the time of my life and I will never forget it. https://cgtv.la/wp-content/uploads/2016/11/CGTV-Reviews-CGTV-Scam.jpg 960 720 R'Mante https://cgtv.la/wp-content/uploads/2018/10/CGTV-Logo-300x106.png R'Mante2016-11-03 09:00:232016-11-03 18:43:31CGTV is not a scam, I know firsthand! Lisa London has a knack for picking needles out of haystacks and her casting history proves this in spades. The exciting news is that she is a partner with CGTV and is always seeking new talent at our events. Read more about Lisa and how to get involved below. Lisa and her partner Catherine Stroud own London Stroud Casting and have cast a number of highly successful TV shows such as Hit The Floor for VH1, The Suite Life of Zack and Cody and Hannah Montana pilot on the Disney Channel, Arliss on HBO, Roseanne on ABC, Supah Ninjas on Nickelodeon and Get A Life on Fox. A few of the movies they have cast for that you will recognize are House Bunny and Grandma’s Boy for Happy Madison Productions, Stepfather for Screen Gems and From The Rough which stars Oscar and Emmy nominated and Golden Globe winner, Taraji P. Henson (who is starring in the Fox Television “hit” series, Empire) and the late, great Michael Clarke Duncan plus an international cast including British actor, Tom Felton (from Harry Potter films). Recently they have stepped into the Indie film market with, In Search of Fellini starring Maria Bello, Mary Lynn Rajskub and the awesomely talented, Ksenia Solo (from the TV series, Orphan Black & the feature, Black Swan). So, how can you get in front of Lisa? There are a few ways, the first one is to be a part of CGTV’s “The Celebrity Experience” and perform LIVE onstage at the ACME theatre in Hollywood where Lisa sits in the audience with a notepad scouring for new talent. The second one is to attend Lisa’s workshop. The next will be held on October 15th and 16th in Tampa Florida. Price: $175 for children and teens ages 6 to 13. $250 for Teens to adults 14+. Call 813-873-9440 to reserve your seat. Can’t make it to Lisa’s next workshop? That’s ok, she wrote a book too! Get her book here: Visit www.fromstarttostardom.com. The CGTV Reviews on her book are off the chart, in fact we have just published a success story of Zeah whom took action on Lisa’s book and turned it into success. https://cgtv.la/wp-content/uploads/2016/11/Kn0Ky4xm.jpeg 1252 1252 R'Mante https://cgtv.la/wp-content/uploads/2018/10/CGTV-Logo-300x106.png R'Mante2016-11-02 09:00:382017-04-21 16:13:54CGTV's Celebrity Casting Director?